Jesus is everything I strive to be. High fashion disgusts me, yet I remain ridiculously fascinated by it. I like to pretend I can rap when no one's looking. Smoothies make my heart happy. 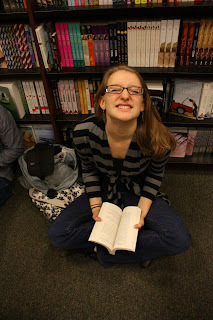 Sometimes I sit on the floor of bookstores and read like it's a library. My camera's name is Jarvis. I dance around in high heels and dresses whenever I get the chance. I would rather fail a grade than do my schoolwork with an unsharpened pencil. Jesus is my Lord and Savior and best friend. Hi, I'm Meredith. I've had this here blog since I was eleven. Most of these posts make me cringe, but you're welcome to check them out anyway.